*Please note: comforter or duvet insert is not included. Zipper closure, convenient to get the duvet in and out. Twin - duvet cover 83" x 55", pillow shams 19" x 30". Full - duvet cover 83" x 71", pillow shams 19" x 30". Queen - duvet cover 83" x 83", pillow shams 19" x 30" . Please note: comforter is not included. 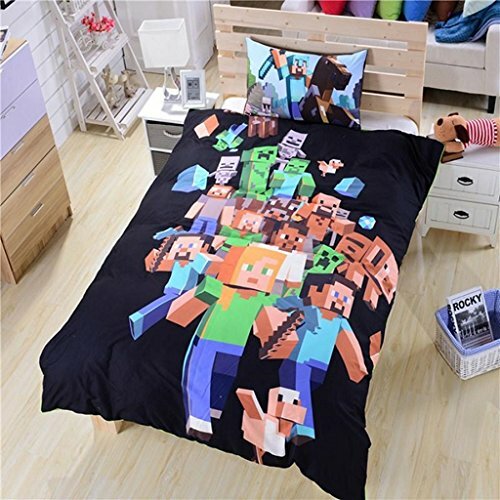 Set includes: 1 duvet cover 83" x 55", 1 pillow shams 19" x 30"
Guarantee: 100% satisfaction with 30 night trial, return for full refund if you don't entirely love. If you have any questions about this product by Sucastle, contact us by completing and submitting the form below. If you are looking for a specif part number, please include it with your message.